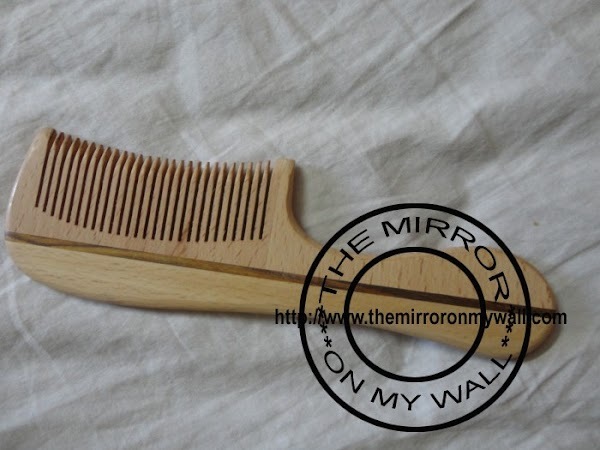 I was reading about types of hair combs available in market few weeks back and came to know that wooden combs are good for hair and help in reducing hair fall. I bought this in a store and have been using this quite a while now. 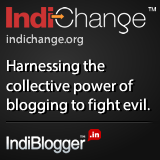 What are the pros and cons, whether the claims correct or not and to know more read on. Can help in hair growth. Cause no static in your hair. Help in less split ends. Good for a healthier scalp. Help in less hair loss. 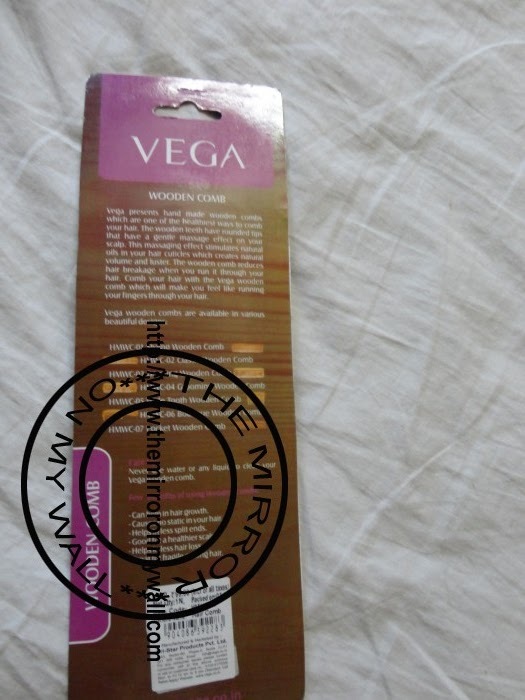 Never use water or any liquid to clean your vega wooden comb. I got this for my daughter basically as her hair was falling at an alarming rate for no apparent reason. 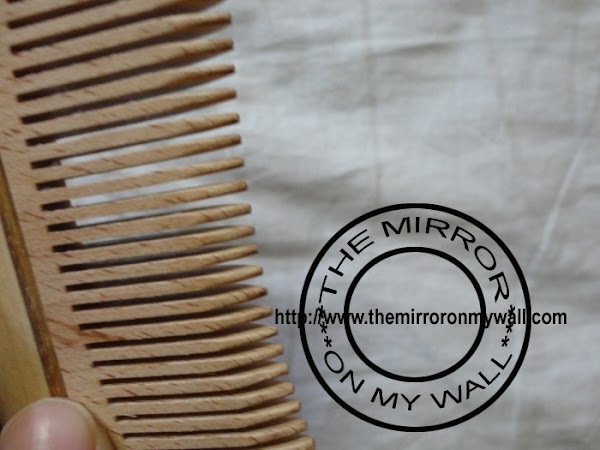 These wooden combs claims to be natural and gentle to hair and scalp. At first look the wooden comb looks really attractive and I was very eager to try this on my daughter’s hair. She has very thin and curly hair with length just reaching past her shoulder blades. After 2 weeks I saw that the edges of wooden comb teeth have started to worn out and rough a bit and hair started getting stuck in the gaps on teeth. 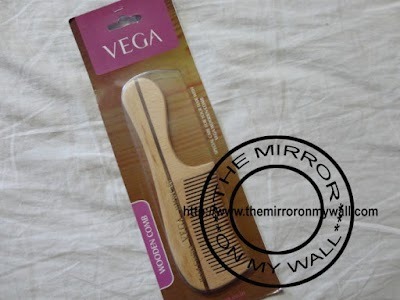 Hair problem became worse using this com as the rough teeth started to pull hair resulting hair breakage. 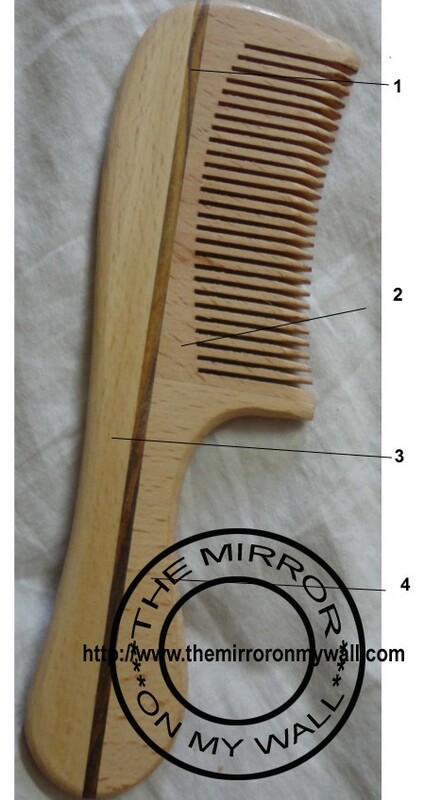 I started looking for remedy and some method to make this comb work. So I came across an information on some site that if the wooden combs are not varnished then you should treat this with some oil to help the grains of the wood be at its place. 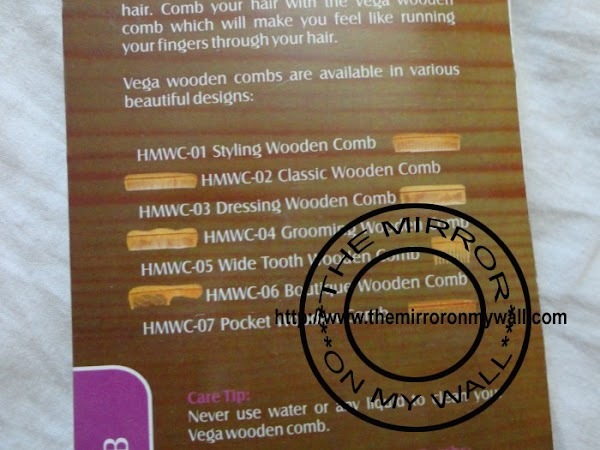 When the wooden combs are untreated the wood is dry and hair can easily cut the woods to give rough edges. Then after reading this, the first thing I did was to treat my comb with lots of oil. This treatment I continued for a few days before starting to use this again. I must confess that the comb became very sturdy and gentle on my daughter’s hair after the oil treatment. If you take a closer look at the comb you will come to know that the comb is made in 4 pieces. The one thing I liked about the wooden combs is that it will produce no static in your hair like the plastic comb. If you treat it well with oil and keep it away from water it will last for long and will give good results. Few of them I have listed below. Proper care tip of treating with oil should be given. Yes, it has become my daughter’s favorite comb for her very thin and curly hair. 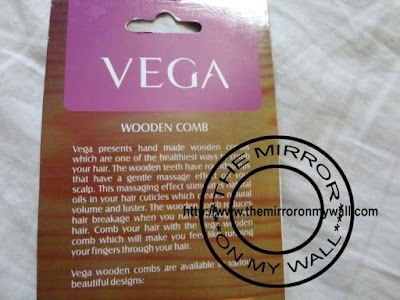 I love using wooden combs too. They seem to be more gentle.